The week 34 Forensic Science Geek of the Week! Forensic Science Reform or Business as Usual? The Chair­man of the United States Sen­ate Com­mit­tee on the Judi­ciary, Sen­a­tor Patrick Leahy (D-Vermont), and his staff announced the release of his pro­posed bill the “Crim­i­nal Jus­tice and Foren­sic Sci­ence Reform Act (CJFSRA).” You can read his press release here about the Crim­i­nal Jus­tice and Foren­sic Sci­ence Reform Act (CJFSRA). Senator Leahy’s forensic science reform bill appears to be short on specifics and long on template. Problems with forensic science are no doubt ‘low-hanging fruit’ for political purposes. Nevertheless, it is encouraging that the 2009 NAS report is in fact on Washington’s radar. The Bill’s primary concern is with the following NAS report findings: problems with scientific validation of processes, and lack of uniform and unassailable standards regarding accreditation, certification, and testing procedures. Notably missing is perhaps the most discussed recommendation of the NAS report: the call to take forensic science laboratories out of the hands of law enforcement. Bias (intentional and otherwise) is likely at the heart of many if not all of the issues in forensic science. While there is no easy solution, this particular recommendation is no doubt the gorilla in the room that needs attention. The ‘Criminal Justice and Forensic Science Reform Act of 2011’ seeks to establish an Office of Forensic Science and a Forensic Science Board. By the way, this Office is proposed to be within the Office of the Deputy Attorney General in the Department of Justice. This may be a naïve observation, but placement of the new Office within the AG’s office at least academically again ignores the NAS suggestion of separation from law enforcement. Apparently there needs to be no further discussion of this issue according to Leahy’s Bill. The Bill does specifically call for mandatory accreditation of forensic science laboratories. The ‘carrot’ is that accreditation is necessary for receipt of Federal funding. This is an excellent baseline suggestion that has already been de rigueur for forensic DNA laboratories. Also discussed is Federal oversight of accreditation. This step would likely assist forensic science in gaining at least the appearance of improved, universal regulation. In a similar fashion, certification of forensic personnel is mandated in the Bill. In my view, this is a necessary step since many forensic personnel are simply not motivated to pursue certification simply for personal and professional satisfaction. This is a more academic observation, but its solution is also more challenging and interesting. Money for research is of course called for in the Bill. There is a call to develop standards and best practices. The Bill starts go get muddied a bit here since these concerns would seem to overlap with accreditation and certification. Furthermore, there are already Scientific Working Groups sponsored by the FBI for this same purpose. Perhaps review of their effectiveness is first necessary. In short, there does not appear to be anything terribly new in this Bill. Much of the language is in fact template, as it deals with procedures for creating Boards and groups, etc. Perhaps a more interesting study is to determine why forensic science seems to be struggling. What are the scientist’s opinions of their job function? Does training address the forensic scientist’s big picture role in the criminal justice system? One of the most memorable experiences I had in my training as a young forensic scientist was to actually go to a jail and see firsthand the effects on lives that my work would have. I fear that there is often a disconnect between widgets, test tubes, and understanding the power of forensic science in the world outside of the laboratory. Separation of forensic science from law enforcement is philosophically and academically a great concept. The reality of its implementation is another story. This recommendation deserves study and should not simply be ignored due to its complexity and controversy. The proposed Bill is an admirable step in the right direction, and no doubt will undergo numerous re-writes. -At least one member from the following categories: judges, Federal Government officials, State and local government officials, prosecutors, law enforcement officers, criminal defense attorneys, organizations that represent people who may have been wrongly convicted, practitioners in forensic laboratories, and State laboratory directors. Dr. Anjaria was correct when he commented on the problem of bias in laboratories, especially prosecution or employer laboratories. Too often, the people who work in such labs feel themselves to be a part of the prosecution, not objective scientists. It is true that the testing methods can be improved, but this is of minor import compared to the lack of scientific integrity in too many laboratories. You know what? I had a very long and interesting conversation with Chief Legislative Counsel for Senator Patrick Leahy today at the American Academy of Forensic Science Annual Meeting. I am going to do a report on it. We talked a good bit on this very point. Thanks for sharing. 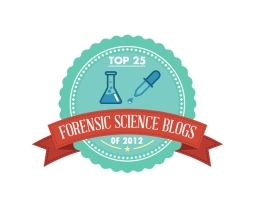 One of the most jaw-dropping experiences I had on this topic was at a forensic science meeting. The speaker was discussing the CODIS database, which is the FBI maintained database of DNA profiles used to produce cold hits in DNA cases. Law enforcement labs have access to CODIS, but private labs do not-even if they have a superior quality/accreditation. The speaker alluded to the fact that private labs should not have CODIS access since they are a commercial entity and there is a potential for abuse. Well….perhaps, but what about the potential law enforcement bias????????????? That was conveniently never discussed. 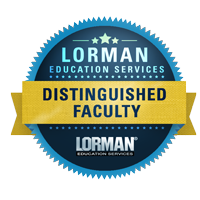 I was particularly offended at the time since I was the Director of a private DNA lab that was the first of its kind in the State to achieve ASCLD/LAB International accreditation. There is an entrenched idea that forensic science belongs only to those who prosecute. Of course, this is rubbish. The hallmark of science is openness.